Because we also eat with our eyes! We understand that each Cafe, Bar or Restaurant has a unique identity, therefore your website design should be too! Whenever someone enters your venue, the first part that hits him is the ambiance. 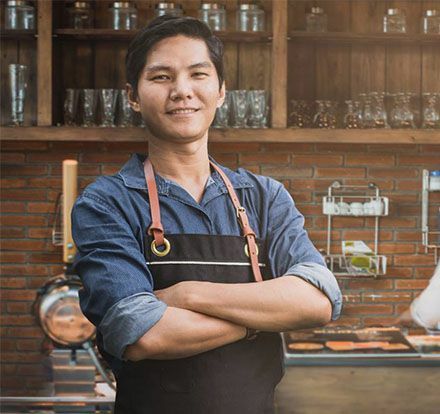 In a similar fashion when someone enters your website it should show the same ambiance effect and the great tasty foods or services that the restaurant is known for. We seek to do the same for your restaurant website. At Sierra IT Group, we offer stunning, customized and mobile responsive Bar, Cafe, Restaurant and food websites to promote your business. Our website solutions for Bars and Restaurants not only look great, but they also are experiences that create excitement and interest in your venue and will drive more visitors and inquiries. In addition to development, we also offer world-class, fully managed and secure cloud hosting solutions for your Cafe, Bar or Restaurant. Easy to use cloud-based POS (Point of Sale) Software system with table arrangement. The perfect addition to any modern Bar or Restaurant. Need something unique to your venue? From feedback systems to client surveys we can create custom web application for you. Looking for a professional Website for your Bar or Restaurant? 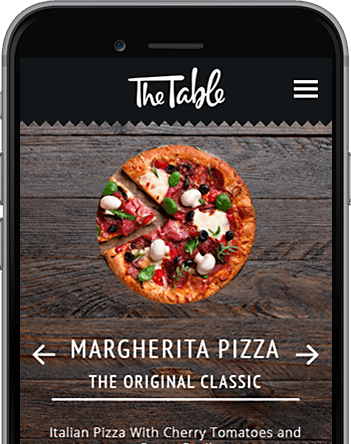 Will my Restaurant website work on phones and tablets? Yes, absolutely. All of the websites we develop for Bars, Pubs, Restaurants and Nightclubs are so called responsive and mobile friendly. This means your website will show up and work just fine on a smartphone or tablet. Part of our Restaurant web design process involves testing the website in all the major browsers, as well as mobile devices. Can you work with larger Restaurant chains? Yes. At Sierra IT Group we approach each and every situation on a case by case basis, therefore we are able to work with small hotel locations as well as larger Restaurant chains. The design of the site has endless possibilities. If you already have specific design ideas in mind, that's great. Each one of our professional Bar & Restaurant web site design solution is custom, you have an infinite amount of options as it relates to your design. As part of our process we work with you side by side in order to figure out likes, dislikes, existing color schemes, goals etc. helping us put together the pieces that will end up shaping the design. Our proposals fully describe the look and feel the website will have and you will also see screen shots and such to help make the look and feel crystal clear, even before we start with the actual development process. Highly recommend Sierra group for website development! Very skills staff, super responsive and can quickly understand the need for commercial company (in my case). Performances of website are really good & fast and features are awesome. Thanks to the whole team again.